Will Newfoundland and Labrador declare more protected areas in 2018? Butterpot Provincial Park (Photo by John Jacobs). Canada and the territorial and provincial governments are committed under the Convention on Biological Diversity to expand protected areas within their jurisdictions to at least 17% of their total land and inland waters and 10% of marine areas by 2020. Progress toward these targets is being made at the federal level, through creation of new national parks and marine protected areas, and by some provinces. Despite calls from citizens and conservation groups, our provincial government has not released its own long-promised protected areas plan. Stressing the vital importance of our wildlife and wilderness to the health and well-being of the people of this province, CPAWS-NL reminds Government of our national and international obligations to provide greater amounts of terrestrial and marine Protected Areas. We call on Government to release the long-delayed Natural Areas System Plan and to work with communities and conservation groups to implement that plan. We further urge Government to restore adequate funding and staffing for Endangered Species and Biodiversity and for Wildlife Research. On May 10, 2017 a debate was held in the House of Assembly on a private member’s resolution introduced by Scott Reid (Member for St. Georges – Humber) stating: Be it resolved that this hon. House supports the Government of Newfoundland and Labrador designating more protected areas in our province. Following lengthy discussion and expressions of support from members of all parties, the resolution was passed1. As Mr. Reid noted, while a private member’s bill is not binding, support of the resolution would send a message to the cabinet to move ahead with the next step, which would be release of the Natural Areas System Plan. We still are waiting for that next step. Now in January 2018, as the federal government holds pre-budget hearings, more than 100 members of Parliament and senators have signed a letter to the finance minister seeking major new investment of $1.4 billion over the next three years toward expansion of Canada’s protected land and marine areas2. This initiative has wide public support and we expect to see major progress at this level. It also sets an example for the provinces. 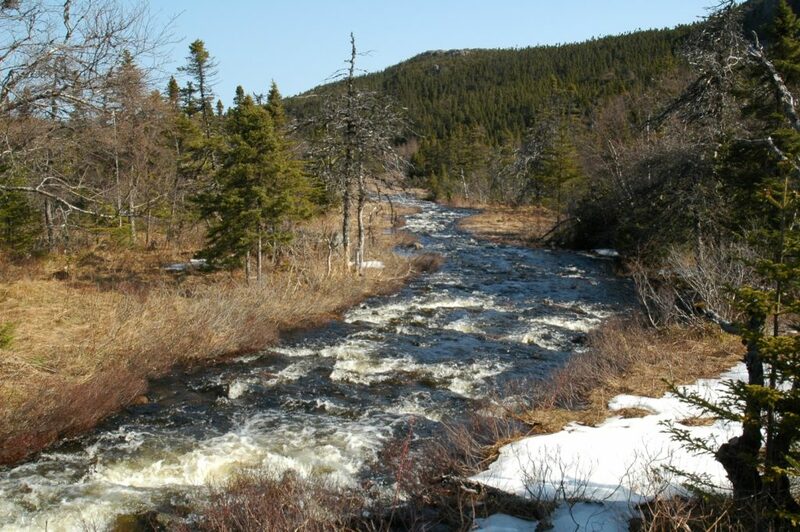 It is time for Newfoundland and Labrador to move ahead with further wilderness protection. We know there is a provisional plan. Government needs to bring it out now so that we can have a public discussion and take the necessary action to meet our conservation obligations.